An unstoppable juggernaut, technology is growing by leaps and bounds. Its onward march has forced law enforcement agencies nationwide to think long and hard about what technologies they adopt, in addition to how and when. He added, “We try to be responsive and agile in getting technology into the hands of officers so they can do their job better.” Due to this approach, plus the increase in subscription and cloud-based technologies, he noted, when it comes to budgeting, departments are moving away from the capital fund and drawing from the operations fund. And really there is a smorgasbord of technologies available for agencies to choose from. While there have been challenges to bringing them on board, many departments are finding the benefits often outweigh the bumps along the way. Another thought that should be considered is the trigger or powering of the two options. Options exist with in-car cameras that allow them to be “triggered” on when emergency signals or lights are activated, or when the vehicle reaches pre-determined speeds, such as 65 mph. He stated for departments with bodyworn cameras, it is important to allow the officer to review the video if necessary to complete the report for the sake of accuracy. “It should be the goal of each agency to provide an accurate report and by allowing an officer to review the video aids in doing so. 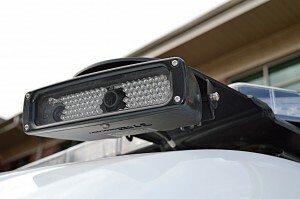 He added license plate readers have been another game changer; however, they, too, come with civil liberty concerns, particularly when it comes to proper storage. 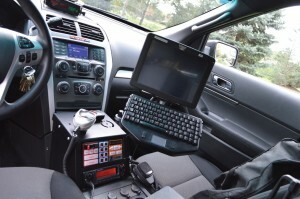 Connectivity is important, whether it is with a cellular or Wi-Fi provider, especially with all the technology in squad cars — however, there are challenges. 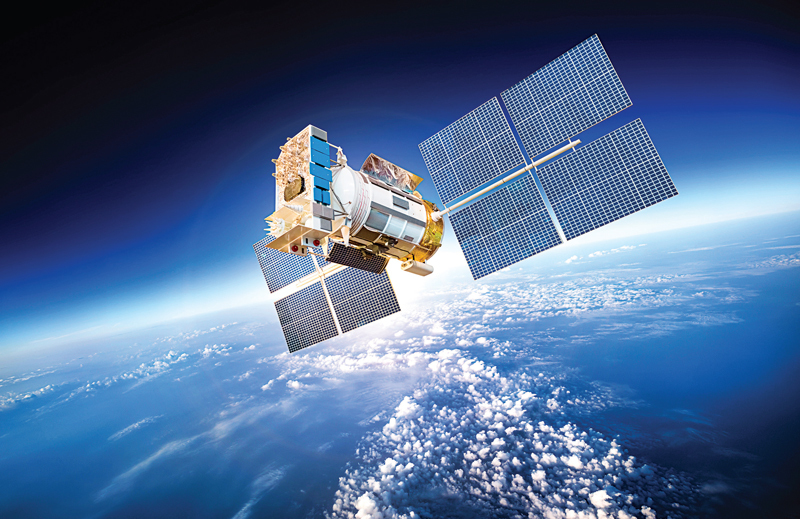 Bandwidth is often shared between public safety agencies and the public. Wentlandt noted there is a new initiative, FirstNet, which will ensure the building, deployment and operation of a nationwide public safety broadband network. Currently, FirstNet is just getting off the ground and is in the process of having consultations with federal, state, tribal and local public safety entities. Wentlandt noted Wisconsin had its consultation, and it would ultimately be up to the governor as to whether or not the state participates. However, he sees many benefits for having a protected and segregated public safety network, especially during major sporting events or in the event of a mass casualty incident that would have a lot of people on devices competing for bandwidth. Bandwidth will also play an important role with the increase of cloud-based and subscription-based services states and departments are signing up for, in addition to the consortium they are putting together. Many law enforcement agencies and states are banding together and utilizing public safety services as well. One such public service, VINE, or Victim Information and Notification Everyday, came about after the 1993 murder of Mary Byron in Jefferson County, Ky., at the hands of her former boyfriend who was released from prison without her being notified. Th e service — unveiled by Appriss in Louisville and Jefferson County a year after Byron’s death — provides automatic notification to a victim when an inmate is released. Th e service is connected to jail management and the department of corrections, providing close to real-time notifications. “They can sign up for free,” Aaron Davis, marketing analyst with Appriss, said in regards to victims. “It allows them to take whatever precautions they need to in order to be safe.” While the service greatly benefits victims, law enforcement agencies are also aided by it since it eliminates the need to manually notify victims — particularly for departments who might not have the resources to do so — and allows agencies’ staff to focus on their core responsibilities. Another bonus, according to Davis, is it keeps data and reports uniform across a state. “We have good partnerships with a lot of states,” said Davis. “We really do try and meet customer service expectations and help them hit their goals.” He noted some of the states they have worked closely with include Indiana, Kentucky, Illinois, Georgia, among others. The service is tied to BuyCrash.com, which allows community members and insurance agencies to obtain crash reports without having to drive to a department. 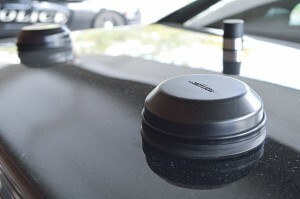 The requester pays a small fee, which allows Appriss to provide its CrashLogic for free to law enforcement agencies. Since it is managing both CrashLogic and BuyCrash, it frees up police staff who otherwise would have handled such requests for accident reports. NPLEx, or the National Precursor Log Exchange — another Appriss service — has been of help to narcotic officers combatting methamphetamine use. “We provide (NPLEx) to thousands and thousands of pharmacies nationwide,” Davis said, noting it provides real-time electronic logging systems used by pharmacies and law enforcement agencies to track sales of over-the-counter cold and allergy medications that contain precursors. The state of Kentucky is getting ahead of the game after working with Appriss and Homeland Security on a new e-warrant system. “It’s been a real solution for them,” said Davis. According to Appriss’ website, prior to the new system a 2005 study of the Kentucky court system found 365,000 to 385,000 unserved warrants across the state. The average length of time to serve a warrant? Six hundred seventy- four days. Since the eWarrants launched, approximately 1.68 million records have been submitted. The average number of records authorized per day is 1,010 with the average number of warrants being served per day placed at 913. Within one week, 40 percent of all warrants have been served; 50 percent are served within 24 hours and 15 percent are served within one hour. The program also allows law enforcement officers to log the number of service attempts, additional locations where the individual may be found and any cautionary notes about an individual who may be dangerous. Due to its link with the FBI’s National Instant Criminal Background Check System, firearm regulations are being upheld at higher rates since disqualifiers are being set for individuals with active warrants immediately upon authorization. “E-warrants has been a phenomenal help to them (Kentucky),” Davis said. Many other unique services also exist for law enforcement, placing the odds in favor of agencies being able to find a solution that works best for their department. Numerous times social media has proven beneficial for investigative purposes. One example occurred in October when a police officer used emerging social media platform Periscope to locate a woman in Florida who was driving under the influence and live streaming it. Once her location was ascertained via the footage, officers pulled her over, potentially saving lives including her own. As for stock tips on what it is to come, Wentlandt said, “Unmanned aerial vehicles.” He added he doesn’t like calling them drones; however, he does like the possibilities offered by them: such as fixing an infrared camera onto a UAV and being able to go over woods. “It would put police dogs out of a job,” he said. While IACP’s conference is now past, at the time of being interviewed, Wentlandt stated he expected to see an increase in UAV vendors at the event. And while the rise of UAVs opens several possibilities, like license plate readers and cloud-based services, it also raises civil liberties concerns. “Law enforcement has long been the secret keepers of the community,” he said. “We often see people at their most vulnerable.” He remains optimistic that longstanding tradition will continue, even with advancing UAV technology. And with the Federal Aviation Administration’s interim ruling on UAVs, allowing law enforcement agencies to use them for suspect searches and search and rescue missions, several agencies are already applying to bring them on board. 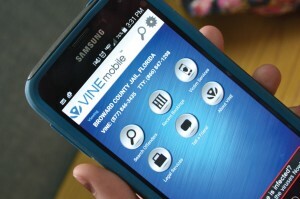 Check out www.appriss.com and www.firstnet.gov for more information on some of the technologies discussed in the article.